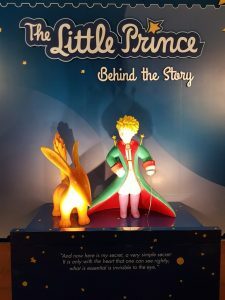 Was glad to be invited to The Little Prince In The Dark Collection Curator’s Tour by Singapore Philatelic Museum. The Little Prince (Le Petit Prince) is a famous ‘adult novel’ written by French aristocrat, writer, poet and pioneering aviator, Antoine de Saint-Exupéry (1900 – 1944), and is in it’s 75th anniversary of the publication. 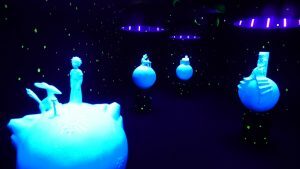 It was officially translated into 300 languages (including Star War language? 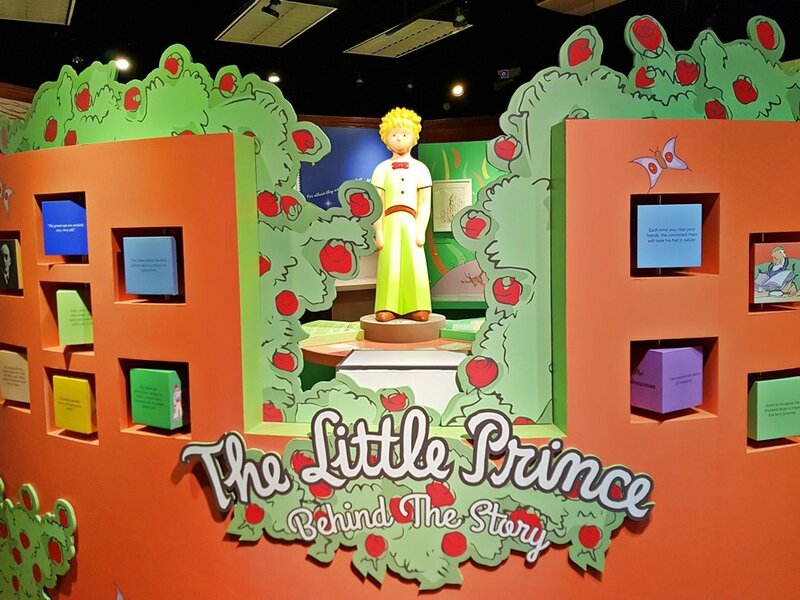 ), and the book has sold almost 200 million copies since it was first published in 1943. In fact, it was also my secondary school literature textbook thanks to it’s poetic wisdom on life and love. The Little Prince: Behind the Story exhibition will feature more than 250 exhibits that are dedicated to the book and its author. Visitors will get to know more about the author and how his life experience may have inspired the writing of the book; they also also get to see rare philatelic materials and artifacts, some of which have never been exhibited outside of France. 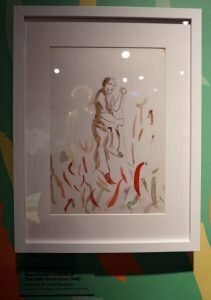 The exhibition displays stamps and philatelic materials, personal belongings of the author, illustrations, books, as well as sculptures by Arnaud Nazare-Aga. 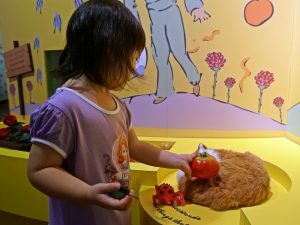 This collection is part of the museum’s The Little Prince: Behind the Story exhibition, featuring six sculptures that are meant to be touched and felt so that those who are often left out of the museum experience, such as people who are blind, can also “see” and appreciate the artworks. 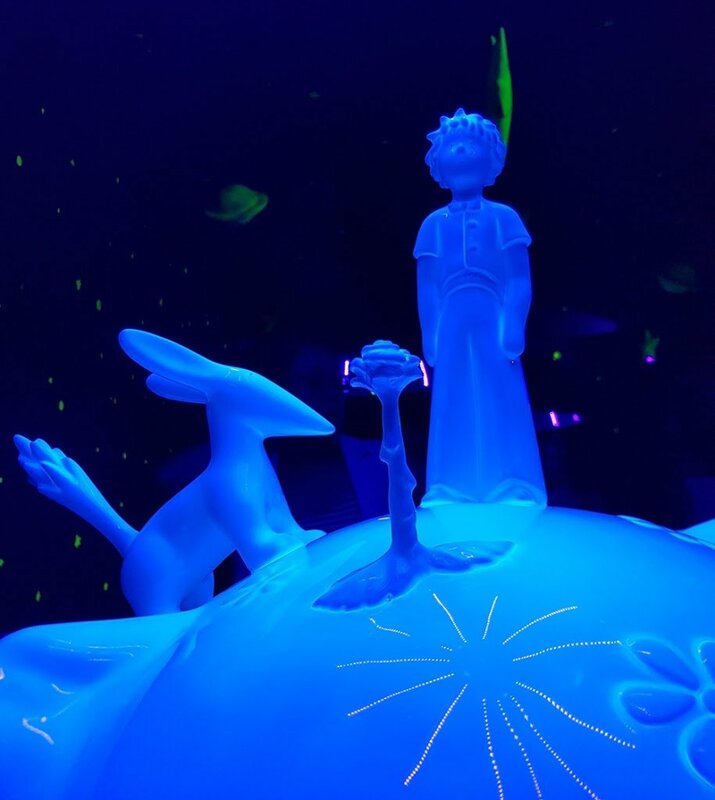 The hand-painted sculptures are made from resin and fibreglass, and covered with layers of marine lacquer, depict iconic characters and scenes from Saint-Exupery’s classic tale first published in 1943. 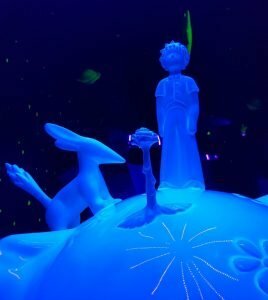 These sculptures were created by French artist Arnaud Nazare-Aga, and will be on display in a customised dark room with low-powered UV LED lights. 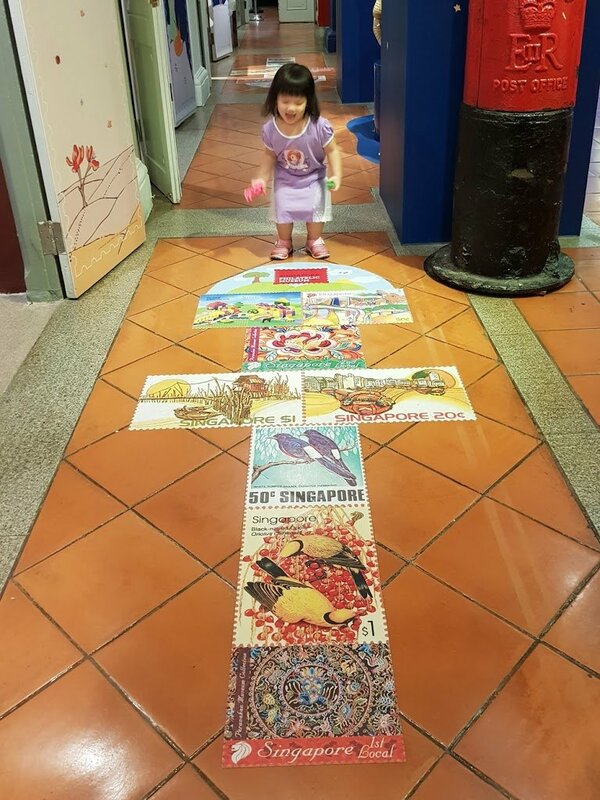 The Singapore Philatelic Museum is actively encouraging the community with special needs to visit the exhibition and participate in its programmes. 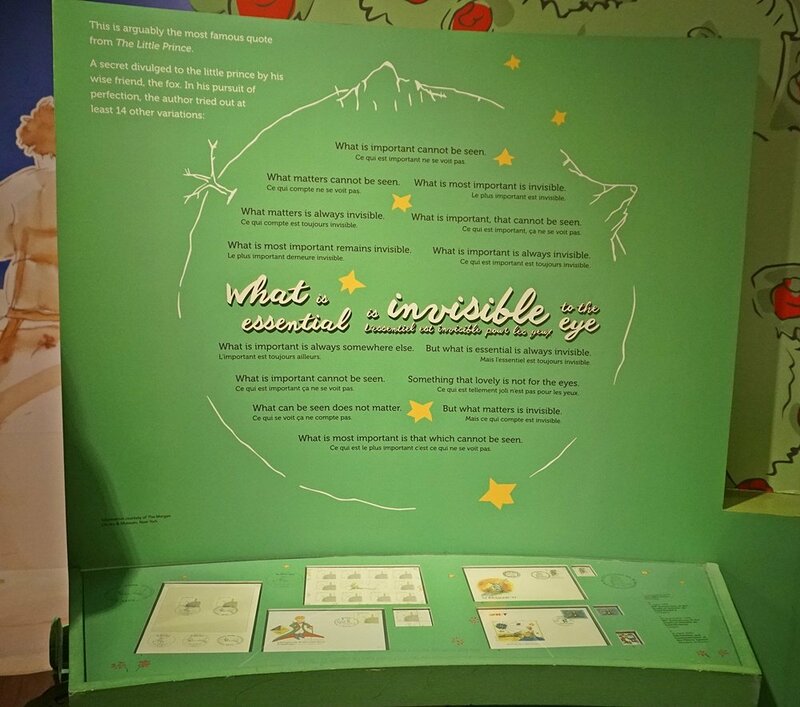 A smaller version of the exhibition will also be travelling to libraries all around Singapore from 1 July 2018 to 31 January 2019 to reach out to book lovers, and invite them to experience the full exhibition at SPM. 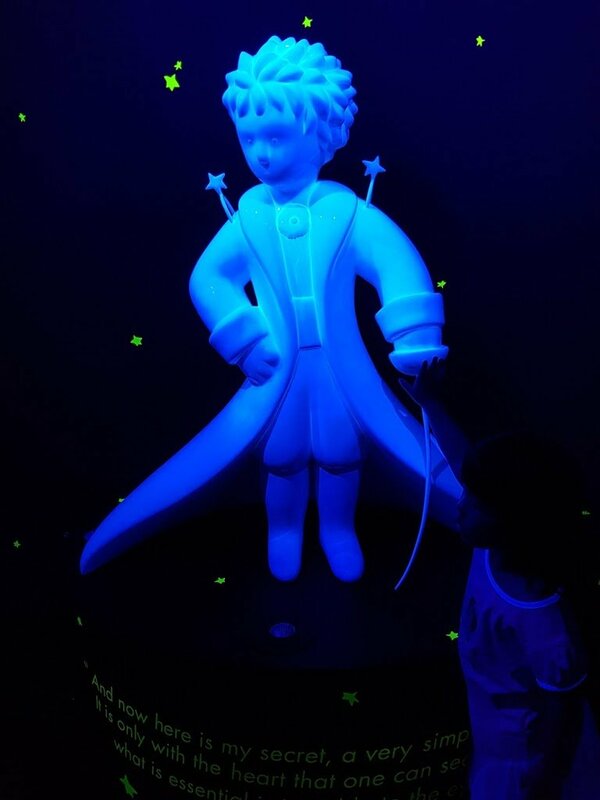 The Little Prince In The Dark Collection will be closed on selected days for programmes. Please check the website before you visit or call the museum at +65 6337 3888. 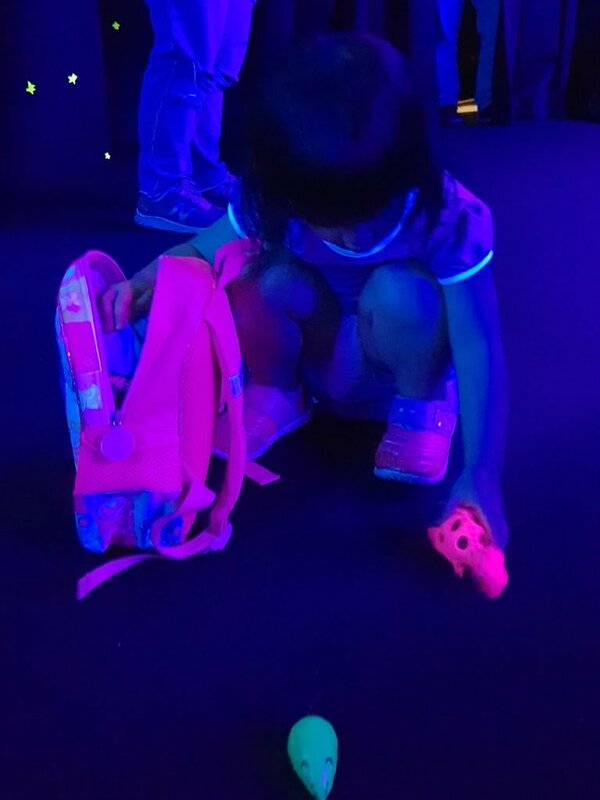 Kpo Kia gets so comfortable with the darkness after a while and decide to bring out her glow-in-the-dark toys to accompany the sculptures. On 6th October,parents can bring their kids to celebrate Children’s Day by dropping at the Singapore Philatelic Museum for some fun activities! 3.00pm – 4.00pm: Balloon Fun! “One sees clearly only with the heart. The author is not good in English, but he is very meticulous when it comes to translating his book with the correct phase that bring up the ‘correct feeling’.